We're always keeping an eye out for great local food. A couple of brands have caught our eye recently, so we got in touch with them to find out a little more about what they offer, and taste a selection of their products. We had some fun shooting with them, and absolutely loved tasting them. Below is our reviews on the food and drink we tasted, we’d recommend trying everything yourself as they are quality products, and it's always nice to eat some food that hasn't traveled more than you have. 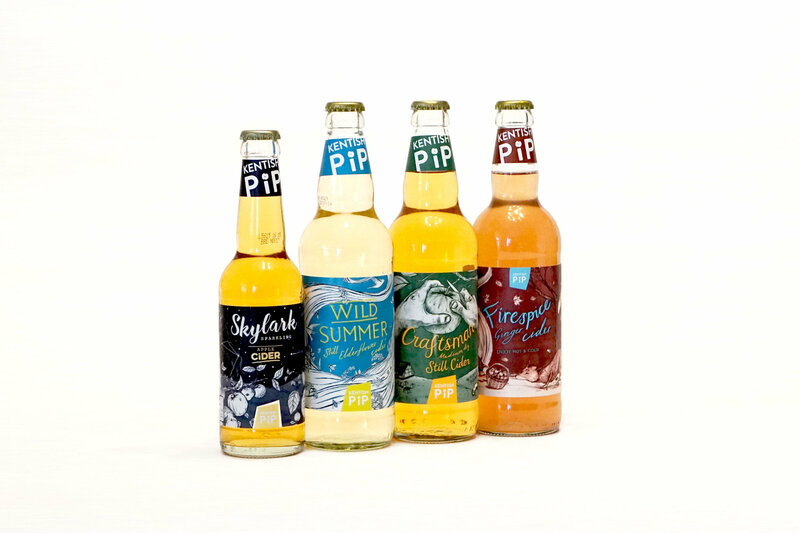 Kentish Pip Ciders are Family run business based near Canterbury, they have been growing fruit for four generations. Each batch of cider is a hand blended mix of farm grown dessert and cider apples. The apples are grown on Woolton Farm in Canterbury, where the cider is also produced. We were hit by some great smells when we opened this one, sugar, firespice and all things nice. The bottle suggests you warm this drink through for a few minutes before drinking, and this really levelled out the flavours giving the spices room to be savoured. There's flavours of nutmeg, ginger and cinnamon that warm the back of the throat. 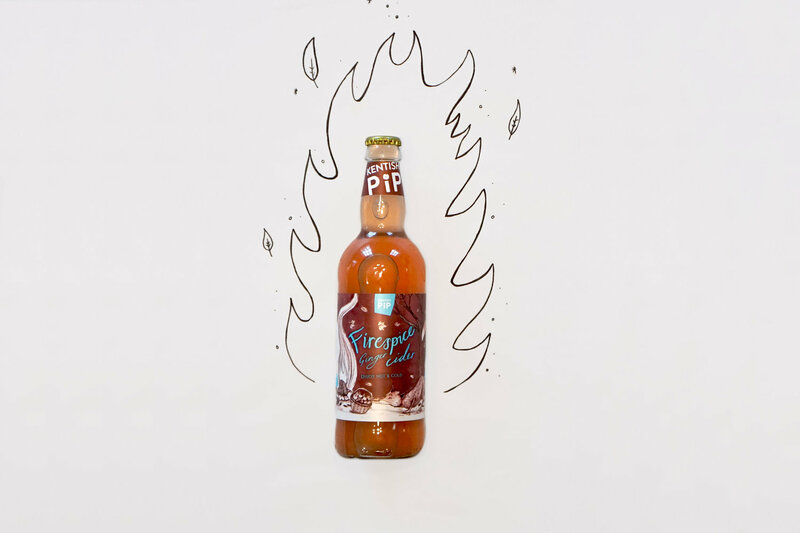 This would be the perfect drink to enjoy on bonfire night, or a wintery evening. Warming it up definitely makes this something special. This time we got a sweet toffee like smell when we prised off the top. The taste is a robust appley cider, tangy and delicious. 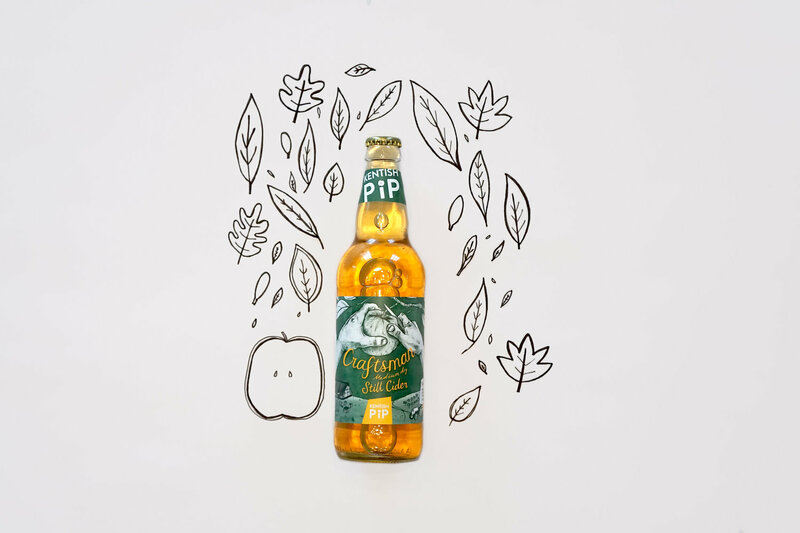 Its dry yet fruity, and as Kentish Pip’s principal drink it’s a great go to for anyone who loves cider, but also a great introduction into ciders as it's not too dry and is a good example of what real cider taste like. It's a classic done right. This was a very delicate flavour, often flavoured ciders are overpowered by a strong tannin taste. This isn't the case here as the drink is still and the elderflower comes through well. 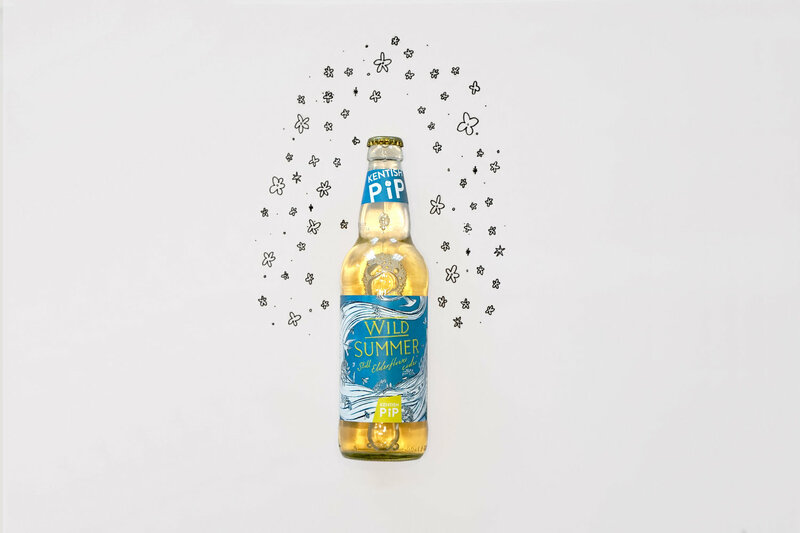 It’s very refreshing and light, its sweetness and light colour makes you think it could be an elderflower presse rather than a cider. It also goes down very well with food, served cold on a summer’s day this would be a real hit. 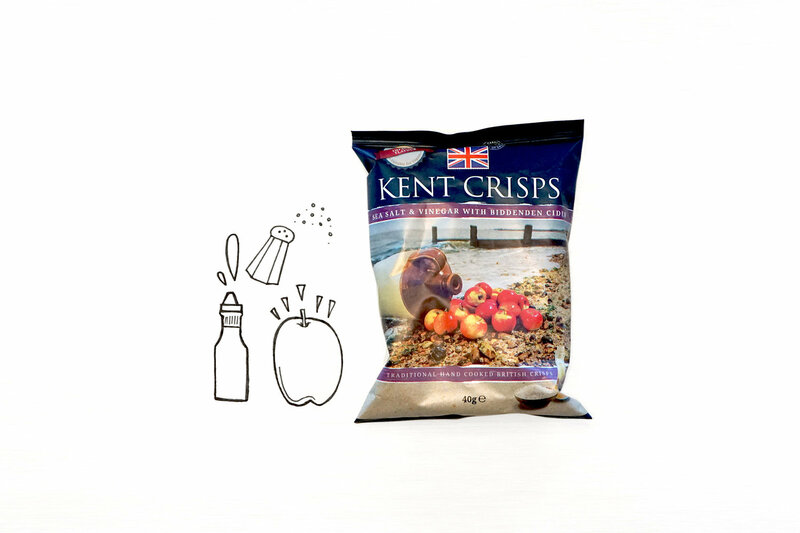 Kent Crisps is owned Laura Bounds. Her business is built on a passion for food and drink, working with local producers helping to promote them and tourism in Kent. 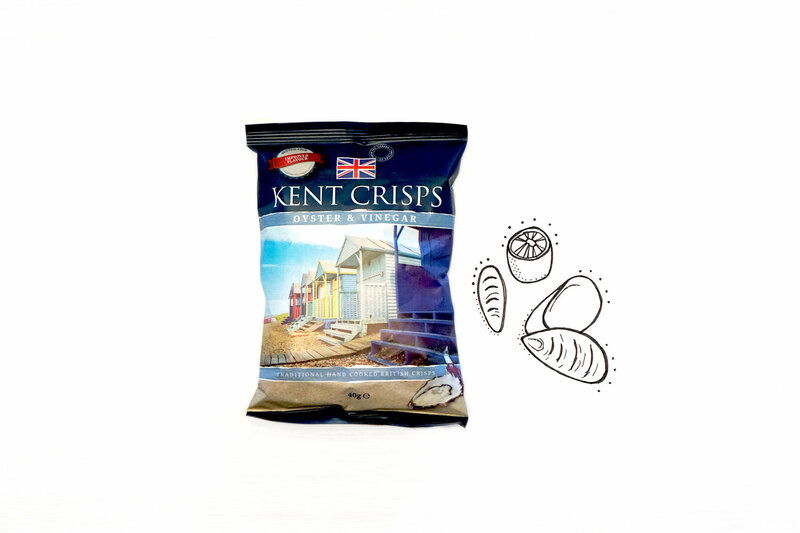 Kent Crisps can be found in several independent gastro pubs, restaurants, delis, hotels, farm shops around the South East. You can really taste the quality of the potatoes in each crisp as they are cut thick. They’re also not too oily with a Satisfying crunch. 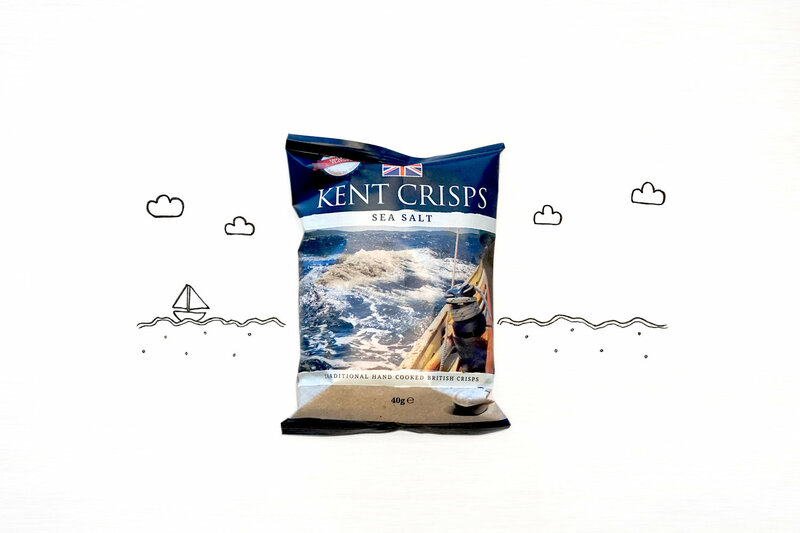 Each crisp is perfectly seasoned and salty with an even flavour distribution throughout the pack. These crisps are more sophisticated than your standard multipack and would go down well in the evening with a glass of wine, rather than your child’s packed lunch. They're not filled with the overwhelming flavours that other off the shelf crisps have where you feel the flavour before you even put it to your mouth or where the vinegar burns your nose before your first bite. 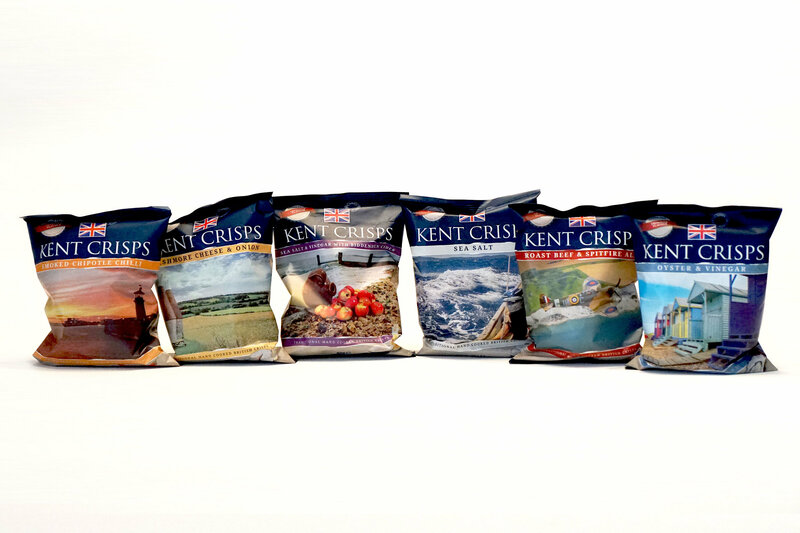 Kentish Crisps have a lot more complex authentic flavours. Lets the quality of the potato stand out with a nice salty seasoning. 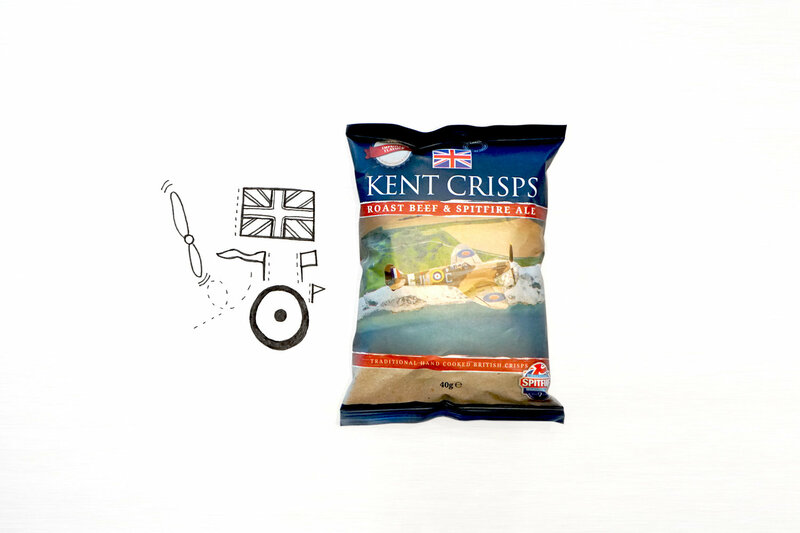 Not too much to mention, but they’re salty crisps done well. 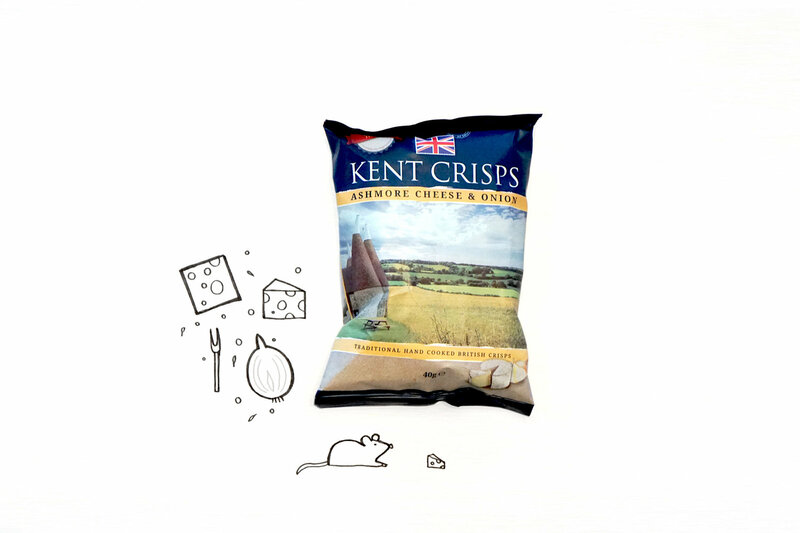 We’re a big fan of Canterbury Cheese Makers, so this is a real treat as their cheese is used to make this flavour. 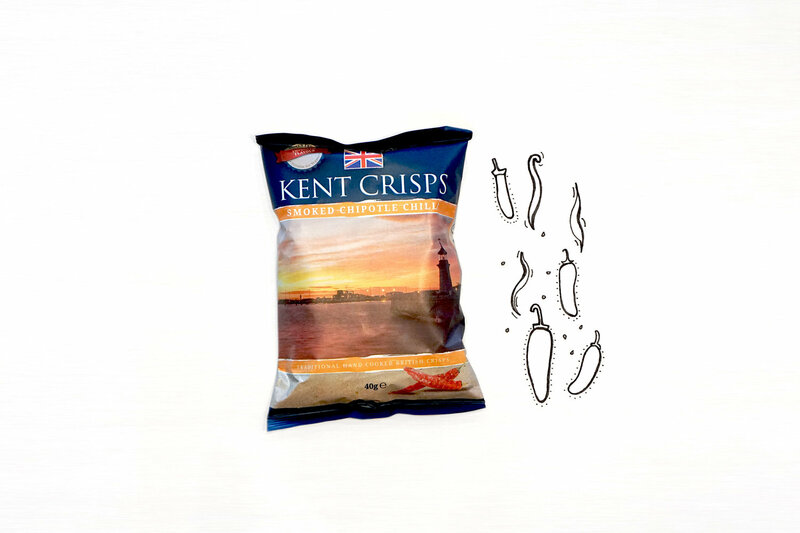 The crisps themselves are very tangy and cheesy with a little creaminess, similar to a sour cream and chive flavour. Ridiculously moreish and flavourful. This was a unique flavour, it had hints of a sweet seafood flavour like prawn cocktail which was complimented by the salt and vinegar. The flavourings were subtle but lasted longer rather than burning the flavour into your tongue like some crisps can do. One of our favorites from the selection. This had a sharper vinegar taste, but had a nice malty flavour rather than being acidic. Nicely balance of saltiness and vinegar, whilst letting the taste of the potato come through. First impressions, this is quite a fruity taste, the chilli pepper really comes through as sweet and tangy. It similar to a bbq spiced flavouring, smoky spicy and a little fruity. There's a slight kick at the end, which is just the perfect amount for a little excitement. Definitely a grown up crisp as there's a strong taste of ale, the meaty flavours work really well with that taste. They're very strong and pack a real flavour punch, definitely an interesting combination to try out.